Great service....awesome price and no worries! 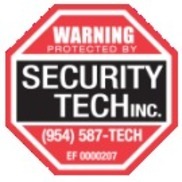 Security Tech is a rock solid home security company and I highly recommend them. Techs onsite checking a faulty transmitter.